As thepeople of Earth rang in the new year with parties and fireworks, fiveastronauts celebrated the dawn of 2010 in the only way they could ? locked insidea space station 220 miles above the planet. NASAastronaut Jeffrey Williams, commander of the International Space Station, said New Year?s Day is a unique time of celebrationfor his multi-cultural crew, which ismade up of two Americans, two Russians and a Japanese astronaut. Spacestation astronauts get eight holidays a year to take time off, oftenchoosing days from each of the countries represented on their crew. ?Of course,that provides a great opportunity to get another glimpse into the different culturesand traditions among us,? Williams said in a New Year?s Day message. ?New Year?s Day also provides that glimpseinto the traditions of others but is unique in that everybody represented onboard celebrates it at home. It is a common holiday among all the crewmembers.? Today, Williamsand his crewmates plan to take some time off, chat with family members via avideo link and snap photos. 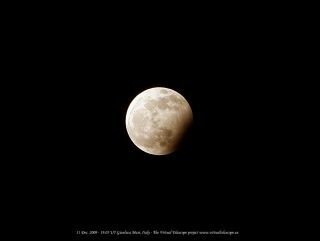 The astronauts likely had several chances Thursdaynight to photograph the New Year?s Eve moon, a blue moon that was visible in partial lunar eclipse from some parts of Earth. ?Wecurrently have Russia, Japan, and the United States represented among the crewand will incorporate elements of everybody?s traditions into our day, particularlyaround the dinner table,? Williams said. Theastronauts also plan to take some time to reflect on the station?s last yearand the coming work ahead. In 2010, NASA and its partner nations plan tocomplete construction the InternationalSpace Station by flying five final space shuttle missions. Construction ofthe $100 billion space station began in 1998. Last year,the space station marked several milestones. Among them: reaching a full crewsize of six astronauts, completing construction of the outpost?s giant Japaneselaboratory (it has two modules, a small airlock, robotic arm and exterior experiment porch),the addition of a new Russian docking port, and the debut of an unmannedJapanese cargo ship. ?2010promises to be equally challenging with completion of [space station] assemblyand the transition to full utilization of this fascinating orbital outpost andunique laboratory,? Williams said. ?We are honored to have a small part in it. ?